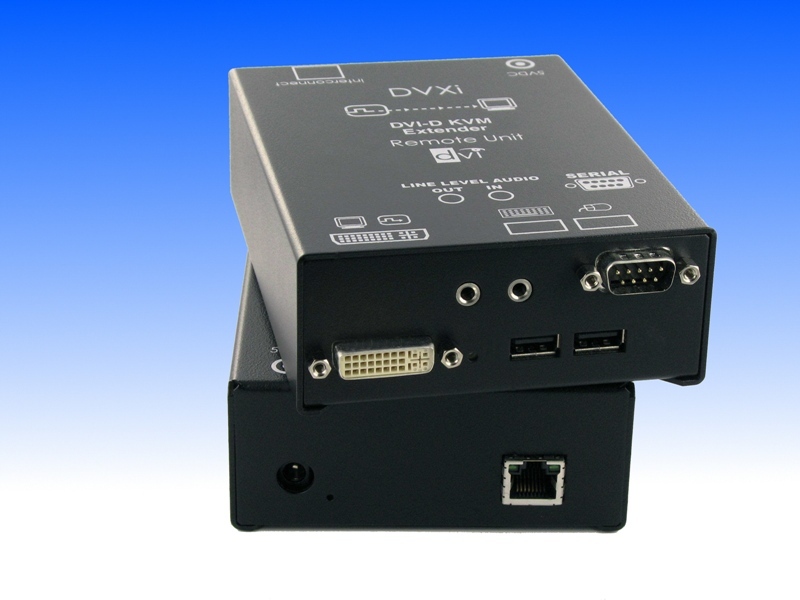 DVI, USB and more - Our new Draco™ minor CATx (Multiplex-Repeater / Cross-point switch / KVM-switch) supports the DVI graphics interface (DVI-D) and, depending on the device, USB keyboard/mouse (HID - Human Interface Device - such as touch screens, graphics tablets, barcode readers or similar may be successful – but there is no guarantee for this!) 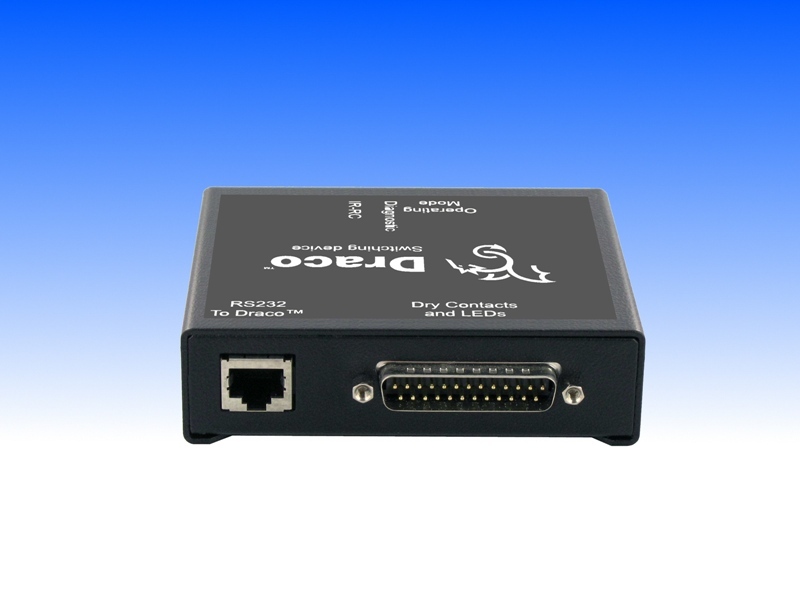 and serial (V24/RS232) transfer and also bi-directional audio transmission. Using Rack-Mount-Kits, the devices may be mounted in server racks. Up to 4 devices may be integrated in 1U racksapce. 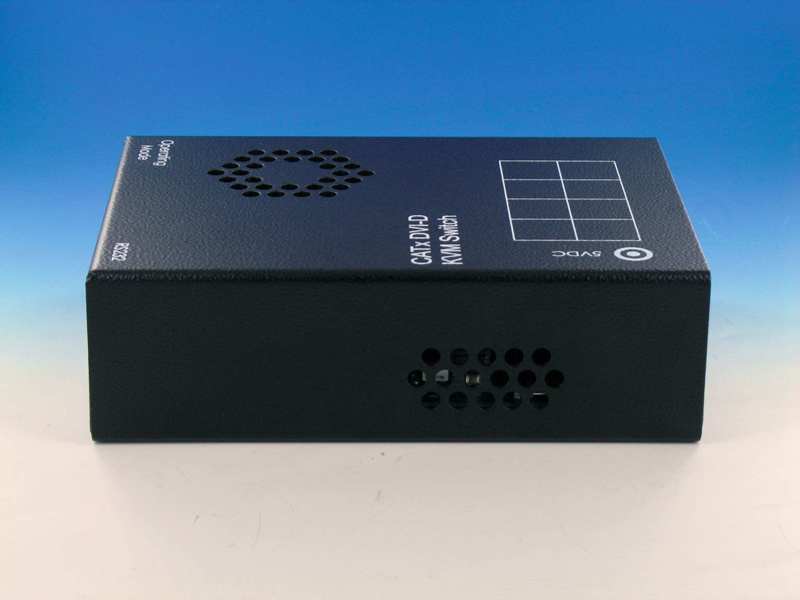 As a Multiplex Repeater the device allows to connect a (up to 140m remote) PC. For that purpose a local unit will directly installed at the PC. 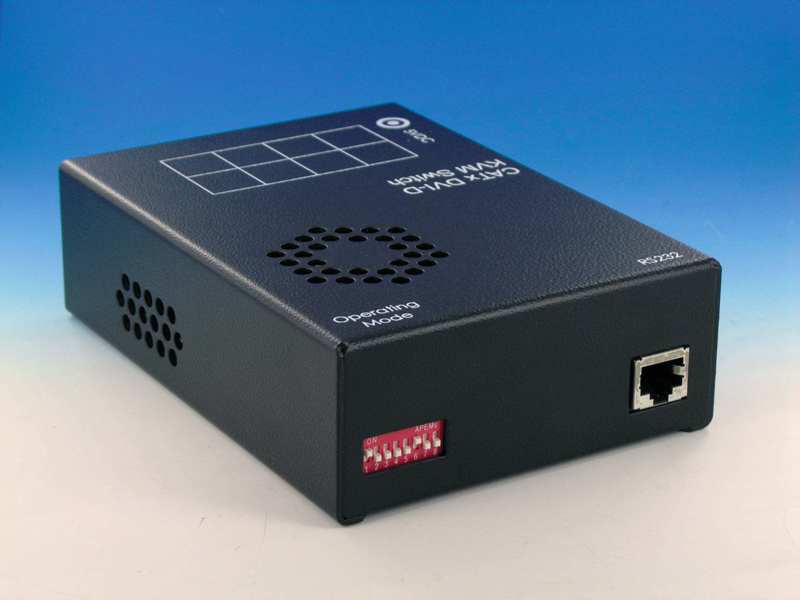 The received signals (DVI + optional serial/audio) are equalized and distributed on up to 7 equivalent outputs. 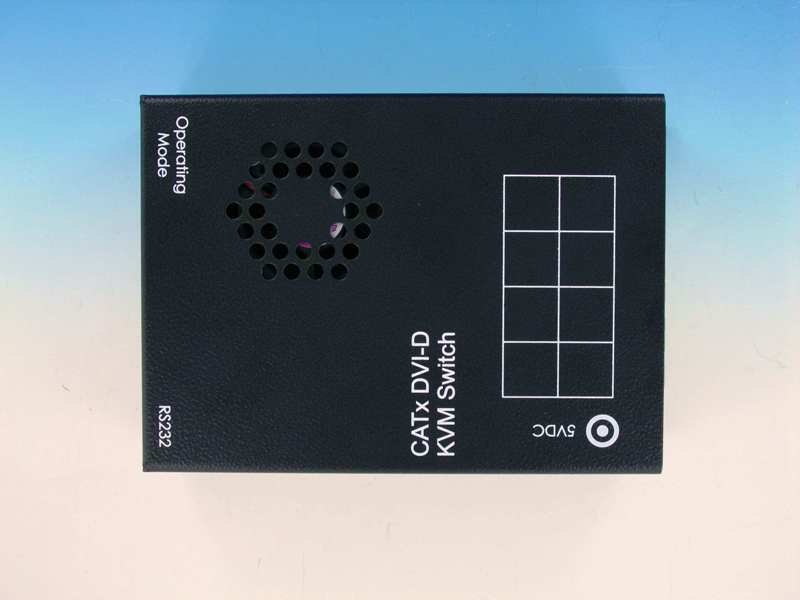 These 7 outputs can be switch to up to 7 (up to 140m away) display devices. Thereto a remote unit has to be installed at each display. Optionally, two independent sources can be distributed on up to three display devices. Or four signal lines can be prepared for greater distances. Optionally, instead of a display device, multiple devices may be cascaded in two stages. The perfect solution for all real digital signage applications! 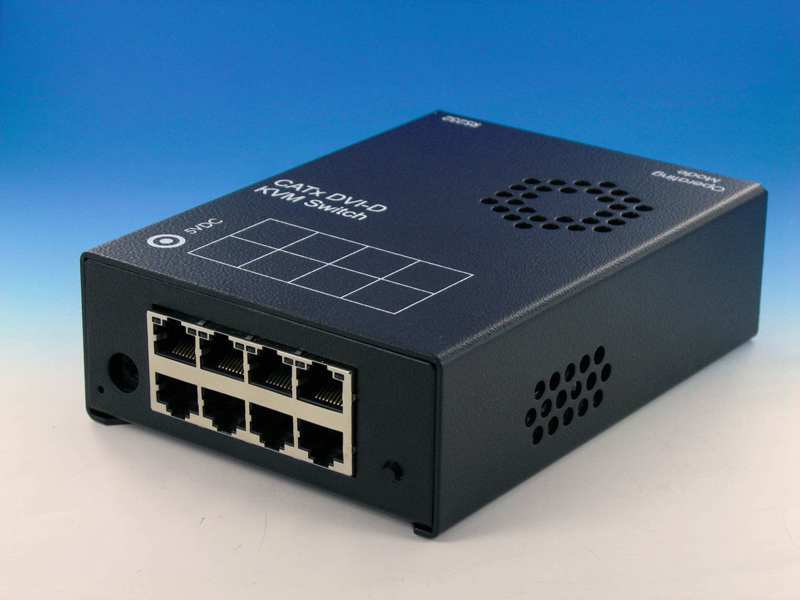 As an 8-port Crosspoint Switch: each port can be switched optionally as an input or output. You can, for example, switch and distribute the signals from 3 signal sources on up to 5 displays (allowing simultaneous presentations on several displays). Alternatively, signals coming from 7 signal sources can be switched in turn to a single display. 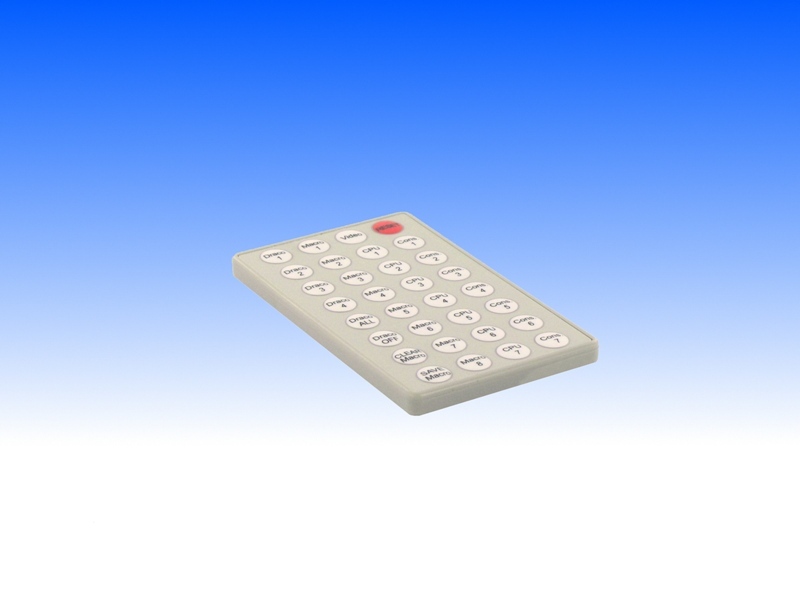 The changeover can be triggered remotely using the serial interface (RS232) and/or by a push-button at the device. As a 7-port KVM Switch: up to 7 Single-Head ports (a “Single-Head” extender system supports 1x monitor, 1x keyboard, 1x mouse) or up to 3 Dual-Head ports (a Dual-Head extender system supports 2x monitor, 1x keyboard, 1x mouse). The changeover can be triggered remotely using the serial interface (RS232) and/or by a push-button at the device. Cascade multiple devices in two stages for all applications to give up to 49/1 connections. The Draco™ minor switch has the advantage that it can be positioned up to 140m away from both your signal source and display device. This becomes possible by using the proven Draco™- Extender technology for the transmission of DVI- Monitor and USB-Keyboard and Mouse signals over CATx- cable. The operation of a Draco™ minor Switch always requires at least one Local Unit and up to seven Remote Units from the Draco™-Extenders range. 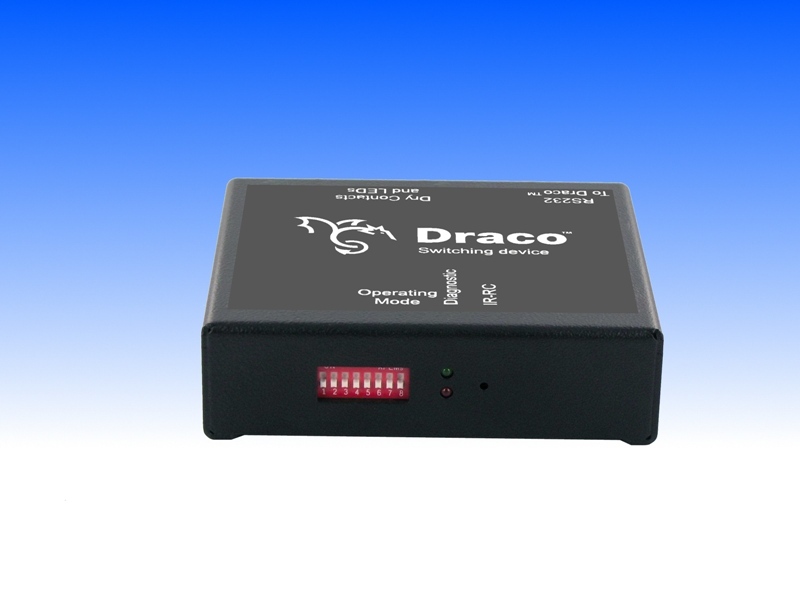 19"-mountable power supply for up to three Draco™- minor Switch/Extender Units. Use with 455-4G or 455-8G rack mount kits.